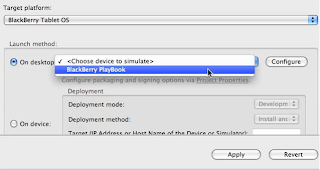 This is a simple tutorial to help you get your Flash Builder 4.5 (Burrito) set up to develop for and emulate the BlackBerry PlayBook. 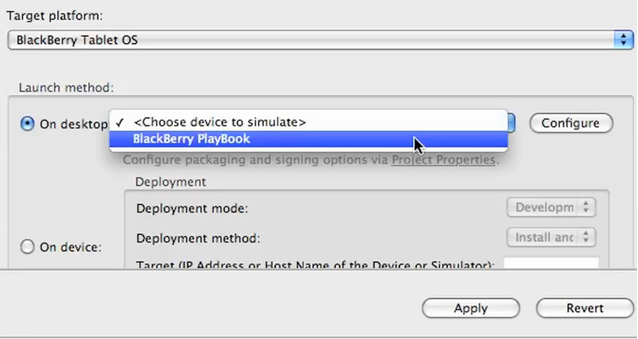 I've been playing with the PlayBook beta and it's pretty impressive. 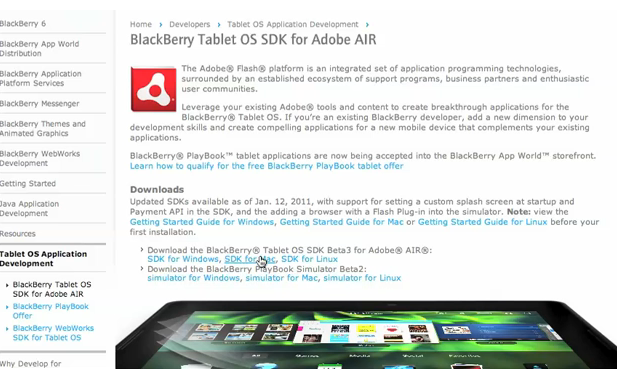 Setting up Adobe Flash Builder 4.5 to compile for BlackBerry PlayBook from Technoracle on Vimeo. 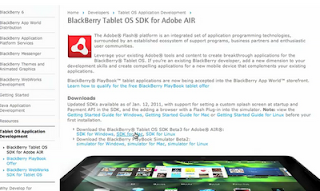 This tutorial is brought to you courtesy of the Adobe Evangelism team. You may reproduce, modify, and use these materials for just about any purpose as long as you respect the copyrights of the owners involved [including Slashdot and Adobe]. You may use this to teach courses in mobile development.